The Christy Extension Table is an elegant solution for the modernly decorated apartment or any home where space is precious. Its square bowed top functions as an everyday dining table or creative workspace. When entertaining, the included 18" extension easily pops in to seat two additional guests. An extra surface in the table base offers an opportunity to decorate -- we envision a nice fern! 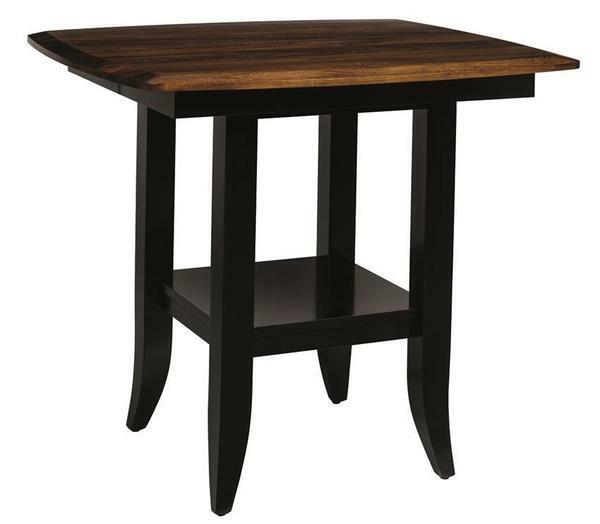 Choose from 3 square tabletop sizes: 42", 48", or 54"
3 tabletop heights available: 30", 36", 42"
For the solid top version of this table, see the original Christy Dining Table, with the same options. For any assistance ordering, please give us a call. Stain samples can also be sent to your home.